SATCO offers great residential and business phone service plans that can be customized to meet your unique calling needs. Phone service is available for less than $11 a month. Be sure to check out convenient and time saving services like call waiting, call forwarding and more! With our available Skitter TV line up, you’ll enjoy up to 39 channels on our Select Package, a Prime Package of 112 channels, a Total Package of 157 channels, and 50 Stingray Music channels. 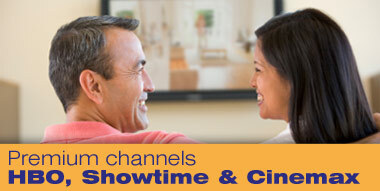 Check out what you could be watching on our SATCO Cable TV page for channel line-up. Get the fastest Internet service available in south Arkansas – with NO download limits. There’s a plan just right for you! Find out more. If you compare what you’d pay if you purchased the same services separately, a 12-month commitment to our affordable bundles would save you up to $75.00 a month!